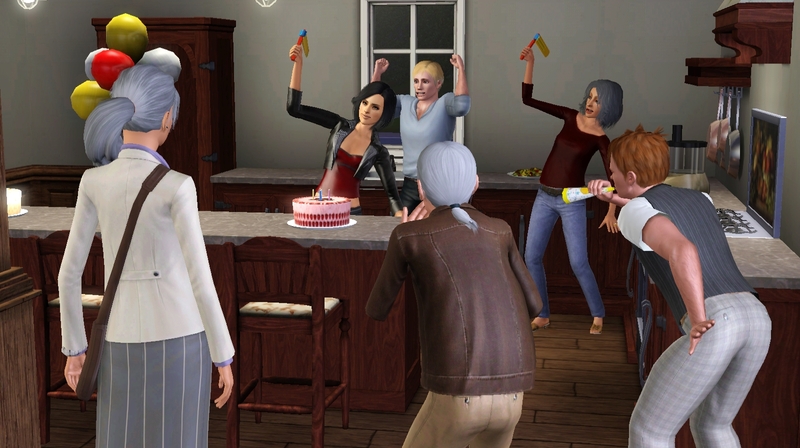 Carrie decided to throw a joint birthday party for Verne and Vesper. 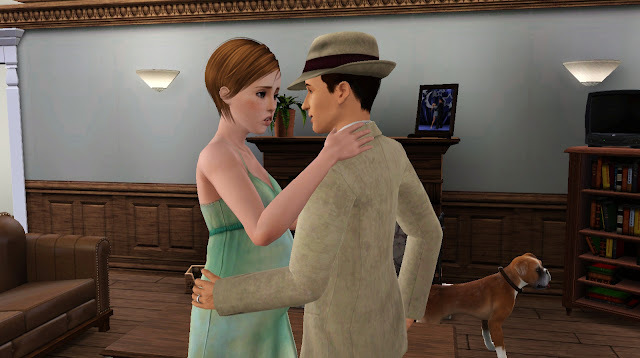 She figured it would likely be the last party she would attend, considering that Shane was gone now. Her turn was creeping closer but, in a way, she looked forward to joining him on the other side. As always, Vesper was the first to play out her candles. Hall the important people were there though it was a little awkward considering that Tanner and Gene had recently divorced. Tanner was quiet about the whole thing and chose to ignore his former wife. Verne was next to blow out his candles. His sister, having already received her cake, was busy chowing down in the background. Verne looked around the room, realizing how blessed he was and discovered that the only thing he wanted now was a healthy baby. With his wish made, he was ready to embark on the next part of his life. Remembering Shane’s advice when she was pregnant with the twins, Abrielle spent much of her time relaxing and off of her feet. She would do whatever it took to make sure this little life inside her would make it. Her measures didn’t stop her from worrying though. Often she would stress to Verne who would reassure her and remind her that, having made it this far, probably meant she would make it to the end of the pregnancy. Some days, she just couldn’t resist holding her little ones though. Tickles and snuggles were her favorite part of the day. “It’s time,” Abrielle said calmly one morning, as Verne was getting ready for work. “Time for what,” he said rather man-like, completely oblivious to the obvious. “Our baby Verne. It’s time to be born,” she rolled her eyes as she pointed to her belly. 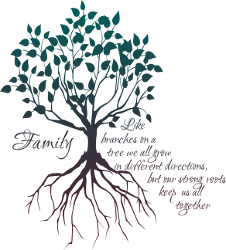 Finally, as it was turning dusk, Abrielle gave birth to a healthy baby girl that they named Yalena, which meant ‘light’. 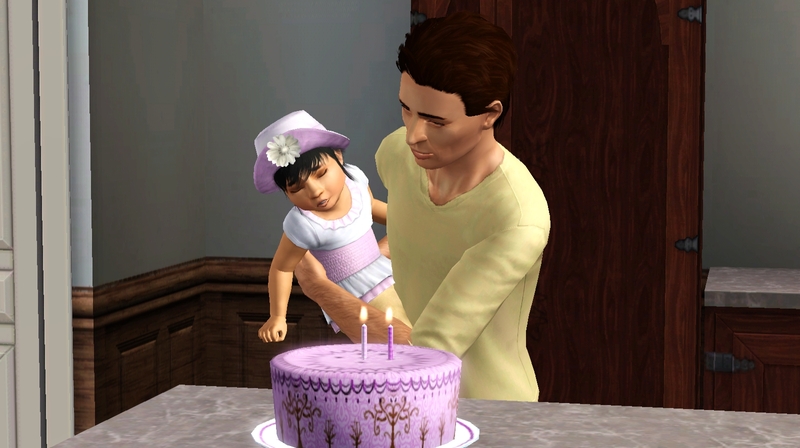 Abrielle had chosen the name late one night, when she couldn’t sleep, thinking that this baby, and the others, were the light at the end of the dark period of her life. She relished being a mother and couldn’t wait to lavish more love onto another child. 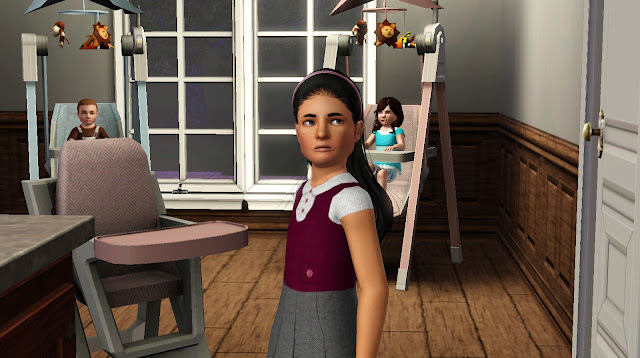 Shortly after Yalena was born, it was finally time for Wren to become a child and start school. As much as Verne loved his little snuggly, roly-polys, he had to admit that it would be nice to have one child that was just a little more independent. He loved them all but four of them that were toddler or younger was hectic! Wren grew into a beautiful little girl with all of her family looking on. 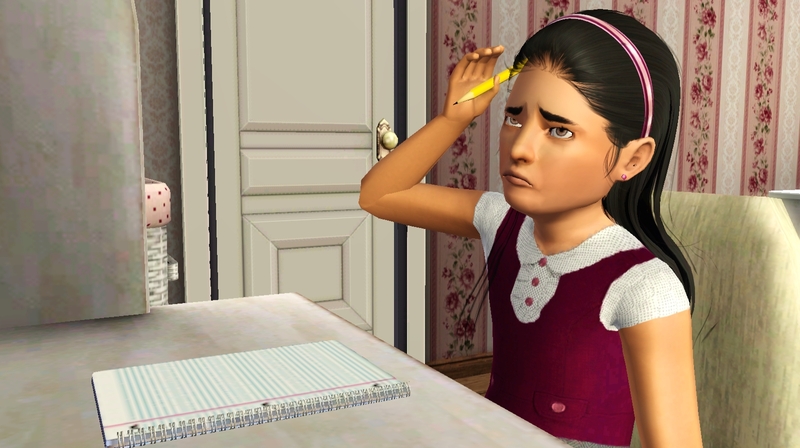 She was a smart girl who always made sure to do her homework. She really wanted to make her parents proud. Sometimes she couldn’t help feeling just a little jealous though when, instead of getting help with her homework, mommy and daddy had to help Xander and Thea learn to do stupid things like walk. Couldn’t they just learn that on their own? Wren discovered that she really liked school. There were a lot of interesting people to meet and she hoped that she could make friends and even maybe have a sleepover! She was even more excited when her teacher told the class that they would be going on a field trip. Daddy signed her permission slip and told her to have a great time. The morning of the field trip though, the bus was late. Finally it arrived and she got there but, when she got home, Grandma met her in the hallway. “Young lady in this house we do not skip school,” Grandma scolded. “But, grandma,” Wren tried to explain. “Now you are interrupting me? You are grounded. Come help me clean up the house and no TV or games for you for a week,” and with that she went off towards the kitchen. 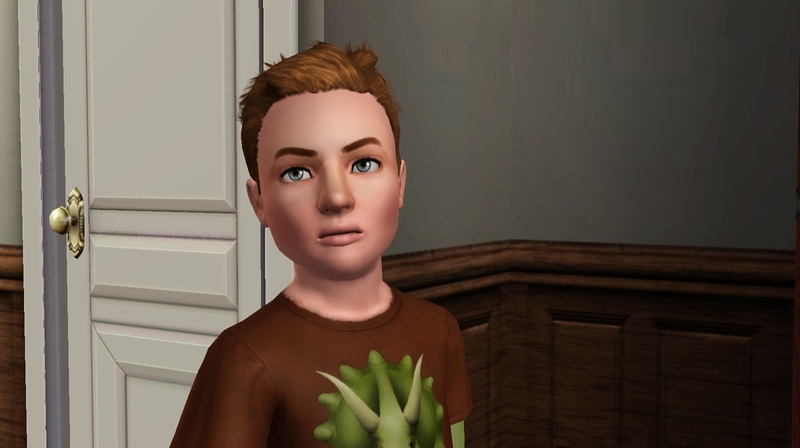 Wren stood in the hallway trying to hold back tears of frustration and anger. Just then, her mom appeared in the doorway. 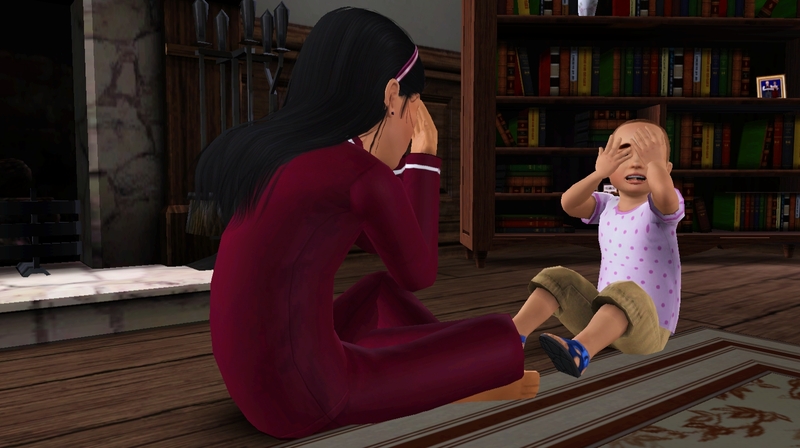 Abrielle hugged her daughter and the tears magically disappeared. 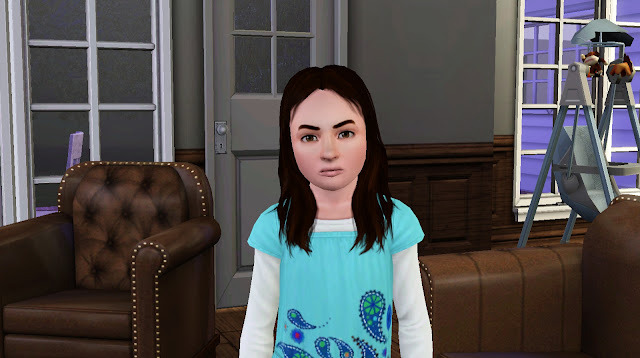 Abrielle noticed she had been feeling more and more sick lately. She figured she knew exactly why but she almost couldn’t believe it. Yalena was still a baby! 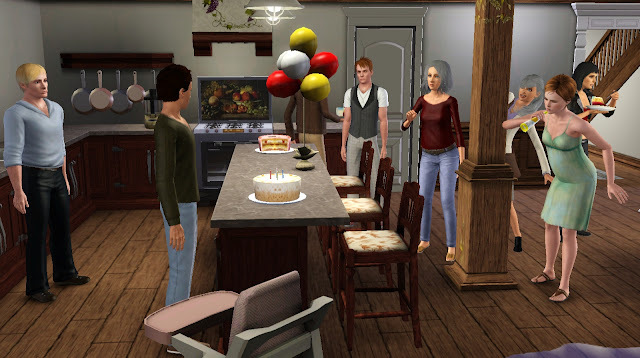 Soon though, it was time for, not one, but three birthdays in the house. Yalena grew into a precocious, precious toddler who always seemed to be gurgling and smiling about something. Xander’s transformation into a child proved that although he had his mother’s hair and his maternal grandmother’s eyes, the rest of him was all Verne. Last was Thea who always had a little grump on her face. She might prove to be the most difficult. And then, right in the middle of the birthday festivities, the Grim Reaper appeared. Carrie waited for him to take her to Shane only to realize that he had not come for her. He was here for Rump. They greeted each other like long lost buddies and then, Rump was gone. 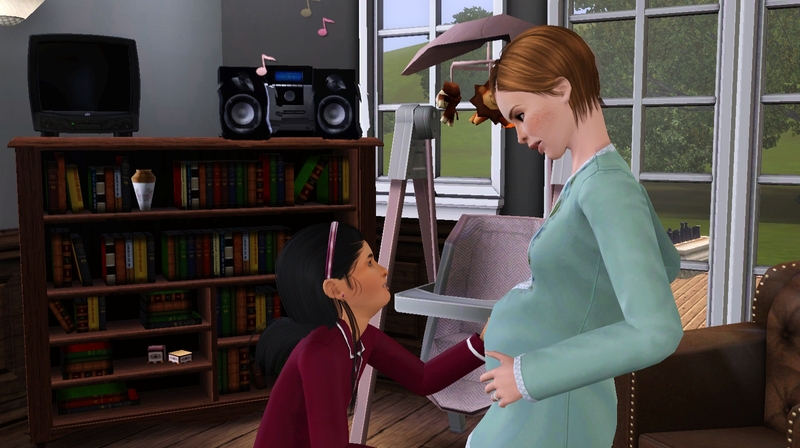 Soon enough, the doctor confirmed that Abrielle was indeed pregnant again. 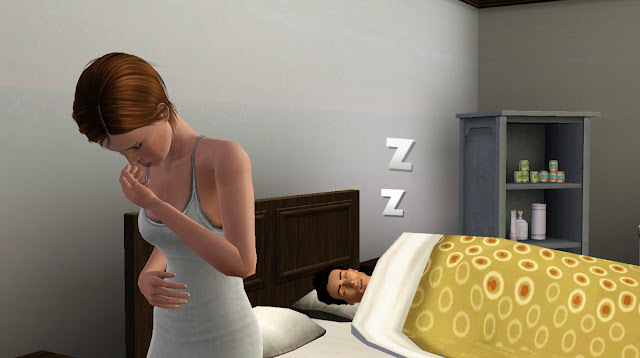 She was placed on maternity leave and prepared for another immobile period. However, her doctor told her that, due to her previous two pregnancies, that it was unlikely for this one to terminate early. He suggested she move a little every day instead of trying to coop herself in the house. So, each day, she would take Yalena for a walk while the children were at school. Despite the sibling jealousy that she had faced earlier, Wren was excited about a new baby in the family. She loved rubbing mommy’s tummy and feeling the little kicks. She couldn’t wait to meet the baby and hold the baby. It wouldn’t be long before she got her wish. 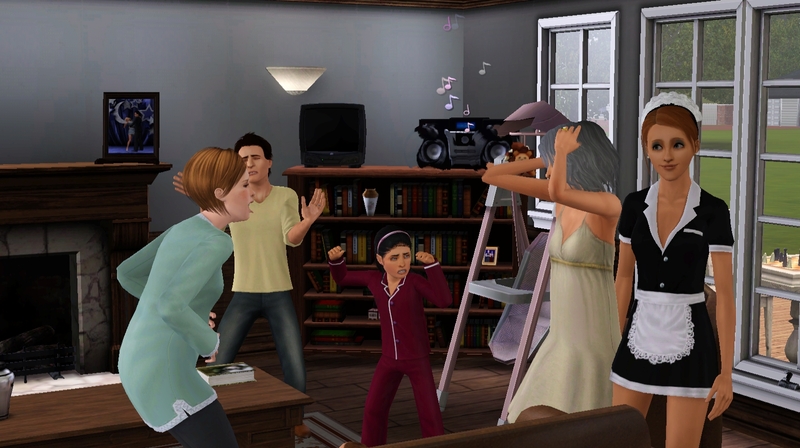 No one in the house was prepared this time and they all stood screaming, wondering what to do. All of them except the maid who smiled evilly as though she was thinking horrid thoughts of her employer. Abrielle groaned and gritted her teeth at the screams that made her house sound like a horror film. “Can’t they see I need to get to the hospital”! She labored her way to the car as Verne finally caught on. 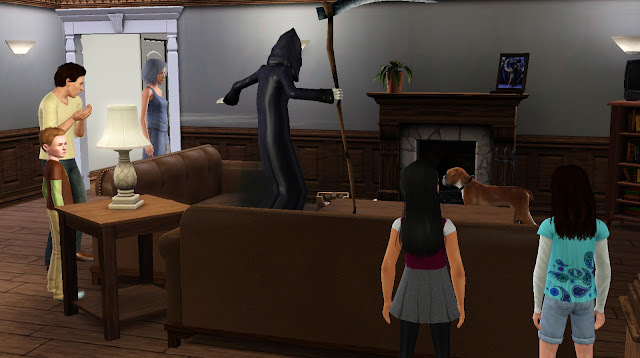 Grandma stayed home to watch the kids while mommy and daddy went to the hospital. Wren played peek-a-boo with Yalena, excited that soon there would be another baby to play with while. 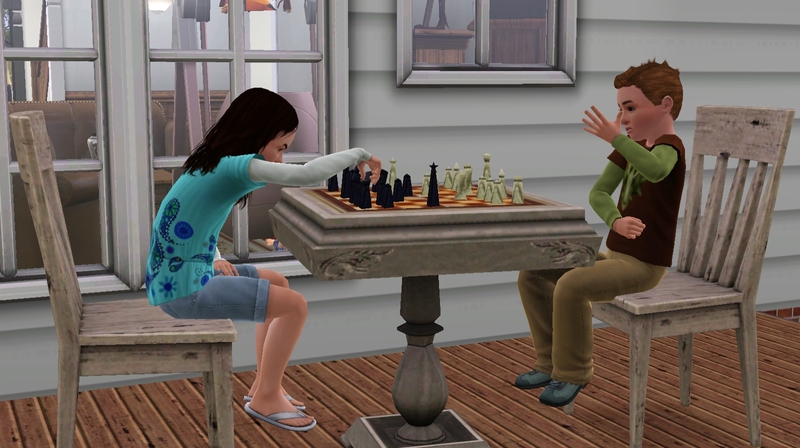 Xander and Thea played chess on the back porch. 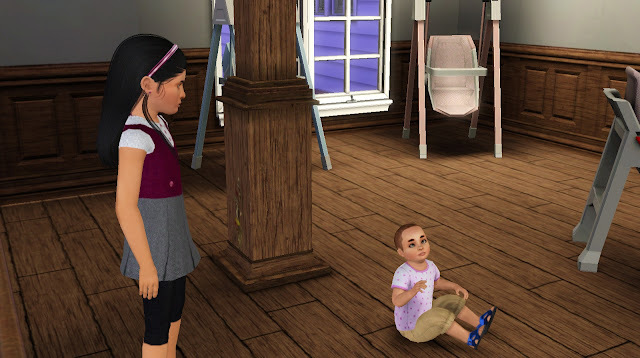 “What do you think about another baby,” Thea asked her brother. “I dunno. That was a stupid move,” he shouted gleefully as he took her bishop. Clearly, a new sibling would just be another pawn to him. “Verne, this is the last one. Five babies! No more,” she grunted as another contraction passed over her. “Anything else,” he happily agreed. 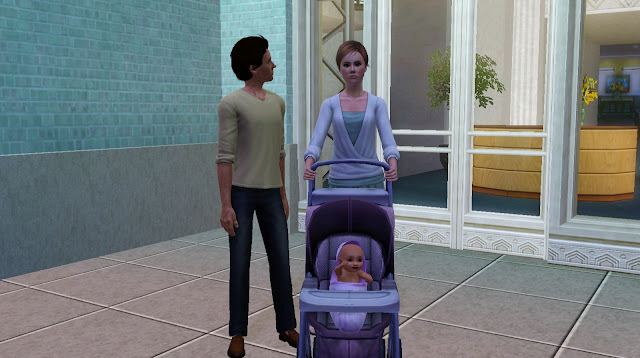 “Get rid of the maid,” and into the hospital they went to welcome their new bundle of joy. Was this a HAPPY chapter? O_o holy crap! I kept expecting you to kill Abrielle off at the end of this chapter during her labour! STOP PLAYING WITH MY EMOTIONS. GOSH. lol@Cece. Me too actually, when you said she was feeling sick I had this horrible feeling she had some kind of terminal illness and Verne was gonna be left all alone to raise an army of kids :/ but yay! All the kids turned out really adorable...even the ginger ;) Little Theo looks the spit of her mum but with verne's colouring <3 Can't wait to see what they all get up to. 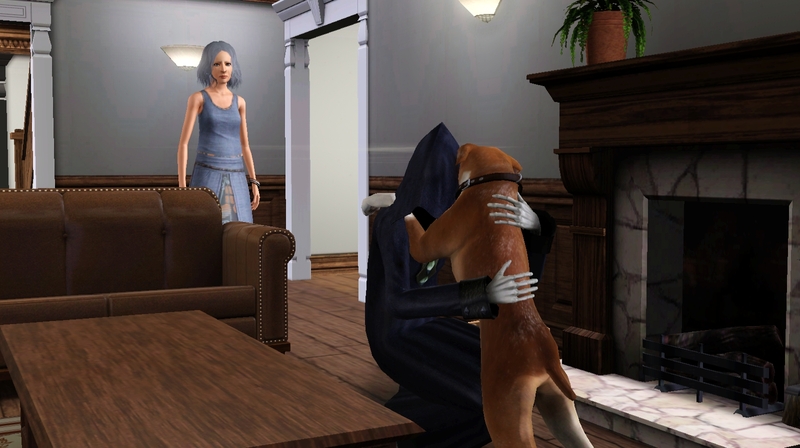 Also, I LOVE all your CC! real underwear for preggos? Can I ask where that's from, the baby bump with actual skin looks awesome. Pretty children :) But five! Wow. Verne is busy. So is Abrielle.